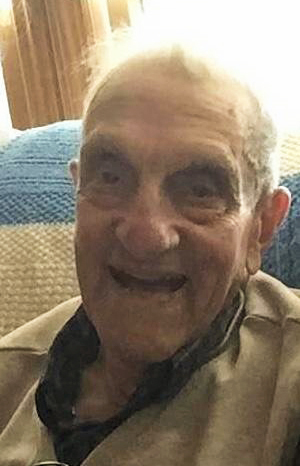 Emanuel Angelo Baratta "Poppy," 89, Jersey City and Brick, NJ passed away peacefully at home on Sunday, March 31, 2019. He was born in Jersey City on August 23, 1929. Emanuel was the beloved husband of the late Doris Mae Baratta (deceased 2013). He was the father of 9 children; Doris Elias, Louis Baratta (wife Louise), Virginia Dady (husband John), Mary Trainor (husband Jack), Matthew Baratta, John Baratta (deceased), Nicholas Baratta, Edward Baratta, and Grace Mykytok (husband Michael). Proud “Poppy” to 11 grandchildren and 18 great-grandchildren. Poppy or Manny (call him either but like Poppy always said, “Just don’t call me late for dinner”) grew up in Jersey City in the 1930’s and 40’s. He married the love of his life, Doris Mae Elsaesser, in 1948 and soon afterward, the children started coming, and coming, and coming. God bless Doris Mae. As a young newly married man, Poppy joined the Port Authority of NY and NJ Police force and spent most of his police career as a crew chief in the emergency garage at the Holland Tunnel responding to fires, first aid needs, and disabled vehicles. Needing more income to support his growing family, Poppy worked a second job, and at times a third job, in the field of television and radio repair. In those days, people repaired their televisions. Poppy even started his own business, Manny’s TV repairs, and built a loyal following of customers over many years. After Poppy retired from the Police force in 1976, he continued with the TV business for many years. I recall that when Poppy had a real difficult, time consuming job on a particular TV, he would refer to that repair job as a “tough dog”. Poppy never cursed, no really, never. He was extremely religious, and one of his favorite verses was John 15:5 I am the vine and you are the branches. If you remain in me and I in you, you will bear much fruit, apart from me you can do nothing. He always put things in God’s hands and the family is sure that he is in heaven now with his wife and other family members who have predeceased him.